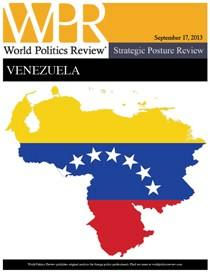 Venezuela was historically a reliable U.S. ally in Latin America, if always aspiring to more autonomy and a larger role in the region. This relationship was based on oil commerce and the fact that Venezuela was democratic during a period in which most other Latin American democracies broke down. During the 14 years of the Hugo Chavez government, of course, this changed. After assuming the presidency in 1999, Chavez developed an antagonistic relationship with Washington and sought to develop alternative regional relationships and leadership, all while maintaining robust commercial exchange with the U.S. During the government of Chavez’s successor, Nicolas Maduro, these aspirations continue to guide Venezuela.